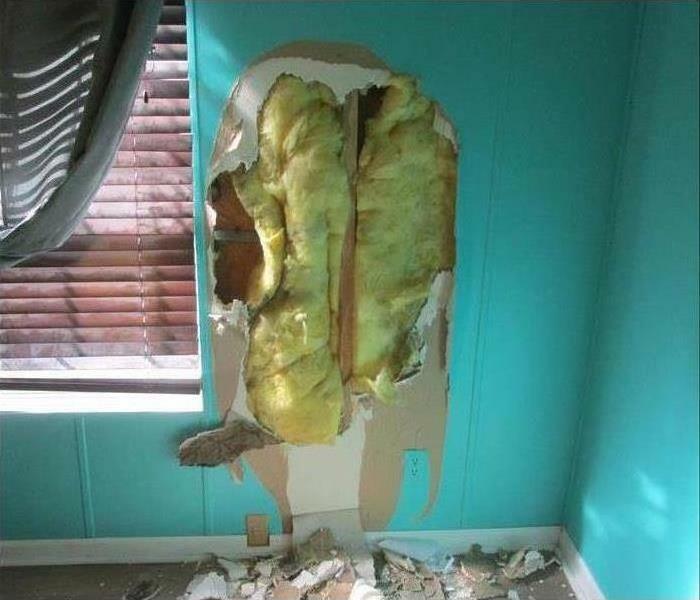 This picture shows what can be lurking behind a seemingly uncontaminated wall in a home. Call your local remediation specialists, in Madison, at 601-353-2286 if you think microbial growth may be occurring in your home. 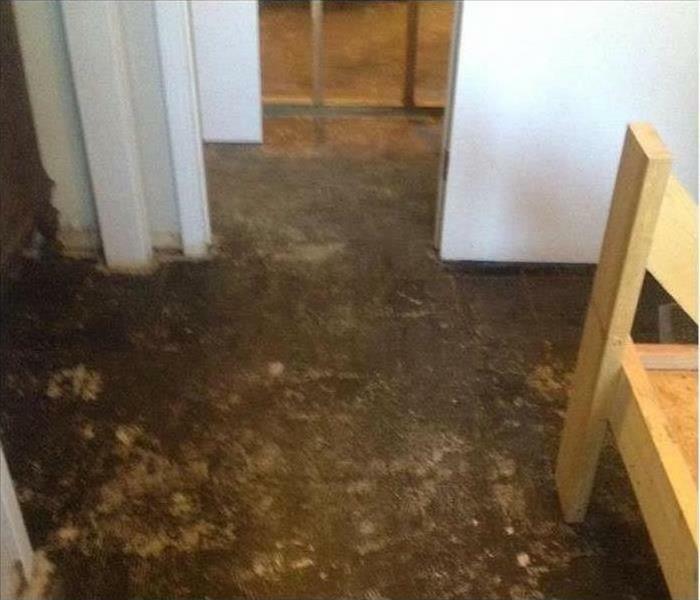 As you can see from the image, microbial growth was pervasive underneath this homeowners flooring. Microbial is present almost everywhere, indoors and outdoors. Microbial spores are microscopic and float along in the air and may enter your home through windows, doors, or AC/heating systems or even hitch a ride indoors on your clothing or a pet. Microbial spores thrive on moisture. Microbial spores can quickly grow into colonies when exposed to water. These colonies may produce allergens and irritants. Before microbial remediation can begin, any sources of water or moisture must be addressed. Otherwise, the microbial may return. Microbial often produces a strong, musty odor and can lead you to possible microbial problem areas. Even higher-than-normal indoor humidity can support microbial growth. Keep indoor humidity below 45 percent. If your home or business has a microbial problem, we can inspect and assess your property and use our specialized training, equipment, and expertise to remedy your microbial growth. 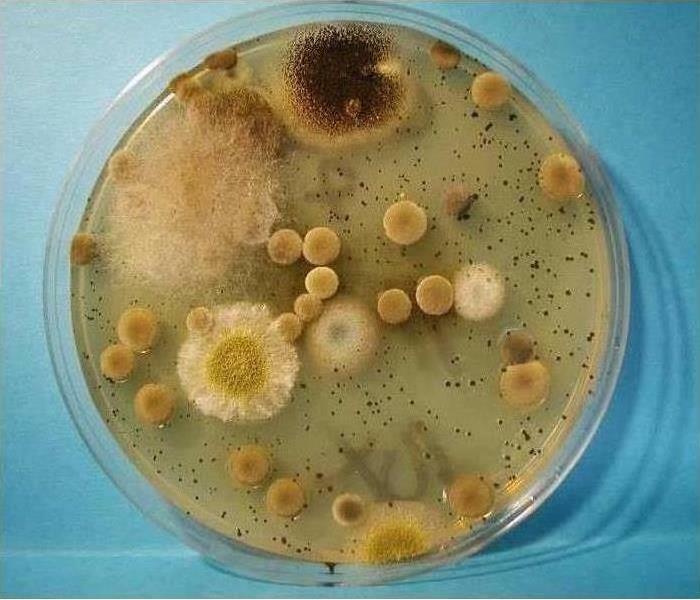 Microbial growth under a microscope. A dreaded word for home owners: MOLD. Mold can cause all kinds of issues and can be very expensive to mitigate. Molds grow best in dark, damp, humid and warm conditions. Mold spreads by reproducing spores. Some molds can grow in a harsher condition as well. 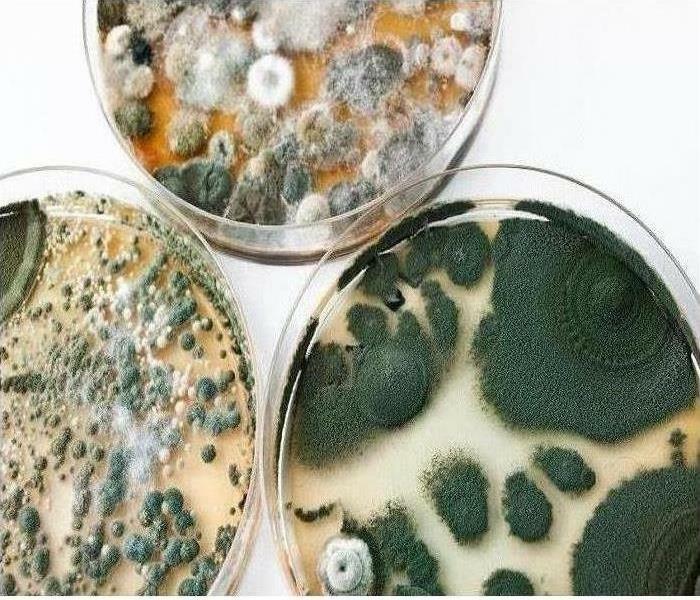 Some common indoor molds are Cladosporium, Penicillium, Alternaria and Aspergillus. Mold can cause serious health effects. Sensitive individuals should avoid areas that are likely to have mold, such as compost piles, cut grass, and wooded areas. Inside homes, mold growth can be slowed by controlling humidity levels and ventilating showers and cooking areas. 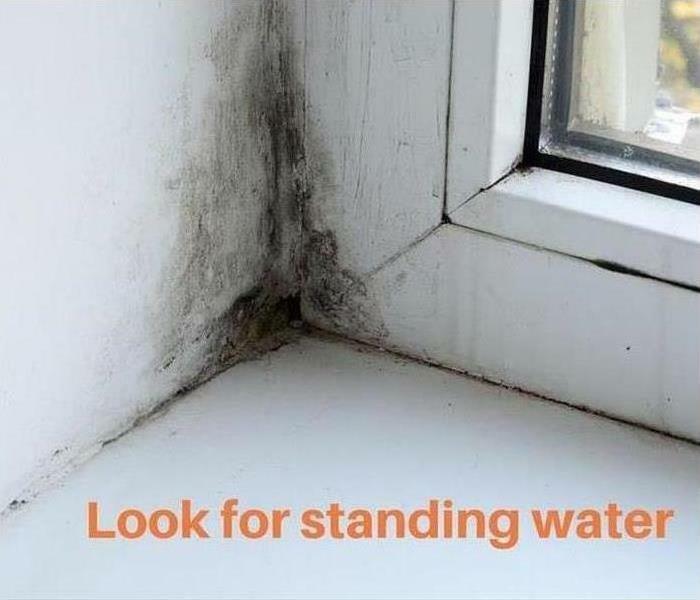 If there is mold growth in your home, you should clean up the mold and fix the water problem. Mold growth can be removed from hard surfaces with commercial products, such as the ones offered by SERVPRO of Madison County. We are knowledgeable and ready to help you clean up your mold problem today. Call us at 601-353-2286. Always Here To Help! A closer view of microbial growth. Do not disturb visible mold. You can accidentally spread the mold infestation throughout your entire home. When mold is disturbed, the mold will release microscopic mold spores which become airborne and can circulate inside your home. DO contact SERVPRO of Madison County for mold remediation services. Do NOT spray bleach on the mold. Call us today with any questions about microbial growth. If you have any concerns about your home or business, let SERVPRO of Madison County put your mind at ease. SERVPRO of Madison County: 601-353-2286 for any mold or mildew issues you are dealing with in your home or business! Does Your Madison Home Have Microbial Growth? We look forward to servicing your future needs! SERVPRO has the best equipment available to have your home or business back in order as soon as possible. Are you in need of property restoration after a storm? SERVPRO of Madison County specializes in storm and flood damage restoration. Our crews are highly trained and we use specialized equipment to restore your property to its pre-storm condition. When storms hit Madison, MS, we can scale our resources to handle a large storm or flooding disaster. We can access equipment and personnel from a network of 1,650 Franchises across the country and elite Disaster Recovery Teams that are strategically located throughout the United States. 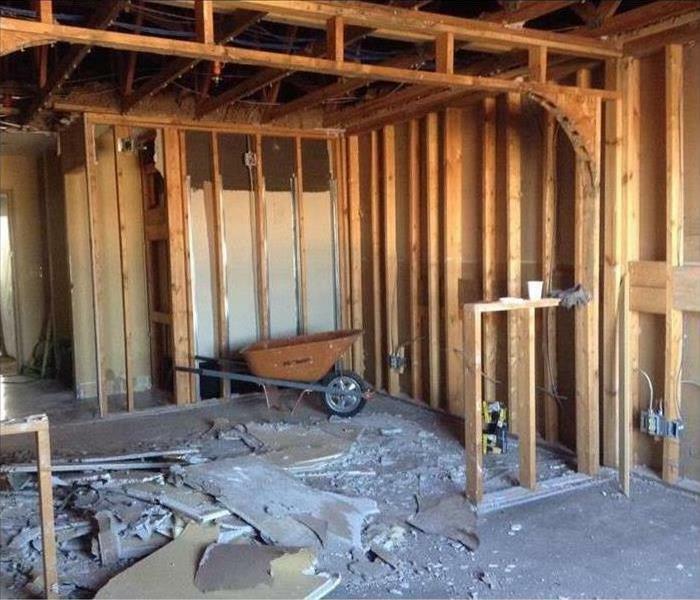 Demolition of a commercial property after a water loss due to the sprinkler system activating. SERVPRO of Madison County, MS provides services to residents and commercial businesses that include water mitigation, fire restoration, microbial growth remediation. SERVPRO is fully prepared to meet the needs of the community no matte the size of the job. In a situation where a large loss to a commercial property occurs, SERVPRO has the equipment necessary to address any commercial needs. Our technicians are trained to work around legal and environmental concerns in order to get the job done. 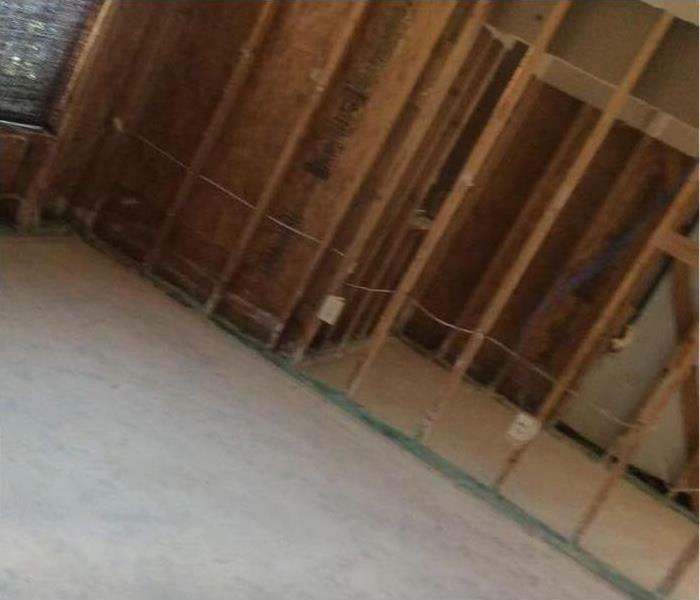 Water damage due to pipe bursts and sprinkler system activation can be hard to predict. SERVPRO of Madison County is IICRC certified to respond to jobs like large commercial businesses with large amounts of property. Hotels, hospitals, plants, schools, and churches are examples of the kind of cliental SERVPRO has had the privilege of assisting over the years. SERVPRO can also respond immediately to any loss, with 24/7 availability. There is no job too big for SERVPRO to handle. 4/1/2019 - Does Your Madison Home Have Microbial Growth?